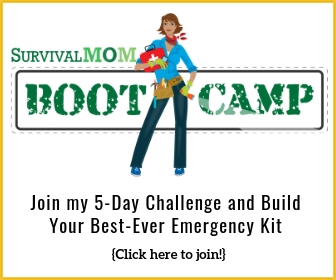 If you’ve put together your Vehicle 72 Hour Kit, good for you! It’s packed in the trunk of your car or in the back of the mini-van, right?. Yaaay! What about your husband or significant other, though? 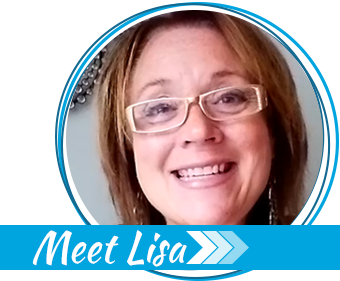 My husband works all over a huge metropolitan area. All he currently has in his truck for emergencies is a container of Wet-Ones and some extra napkins from Burger King. The guy needs some help! It’s large enough to hold everything he might need and has the advantage of being packed and ready to travel at a moment’s notice. If my husband ever to had to hoof-it home, he’d be ready to go. 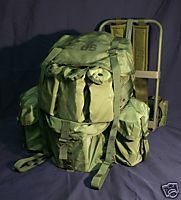 These packs can be found in Army surplus stores, on ebay, or from many online sources. Another difference between his Kit and mine is that he won’t need supplies geared toward the kids. No goldfish crackers for him! I’ll pack smaller packages of everything: wipes, Kleenex, a tiny bar of soap, etc. Oh, and no tampons! As you go through the standard Vehicle 72 Hour Kit list, just make notes of anything different for him, such as Old Spice anti-perspirant instead of Secret! Be sure to include one or two disposable shavers, although I personally like that 72 Hour Stubble! A key to making this large backpack user friendly is organization. For example, small items must be in zip-loc bags or something similar to keep them from getting lost. Once you’ve collected everything for his Kit, spread out everything on a table, and ask him to pack it up in a way that makes sense to him. One tip on organizing that pack is to put a flashlight on top of everything else inside the pack or in a handy outer pocket. Knowing exactly where to find a flashlight is crucial in the dark. 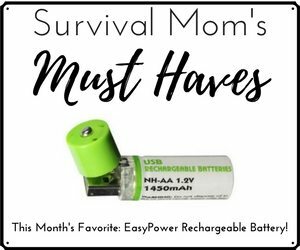 Sometimes Survival Mom has to look after Survival Dad! His 72 Hour Kit will make him feel just a little more loved! You know, tampons can be a good thing to pack in a "His" kit, too. Heaven forbid, if he (or someone he was near) were to be shot, tampons make great wound dressings (they're about the right size, absorb well, and swell to stop bleeding). They're also decent fire starters if you dip them in a little motor oil, gasoline, Heet, or petroleum jelly. Speaking of, petroleum jelly makes a great substitute for chapstick. Thanks for all the great tips! Keep up the good work! You know, you have a good start on this for a post called, "Ten Ways to Use a Tampon in an Emergency." :o) Thanks for the tips. I hadn't thought about the fire-starter idea, but that is really a good one. Thanks, too, for the encouraging words. I learned in high school that a tampon, soaked in parafin wax, makes an unbeatable firestarter. A little prep time in advance is worthwhile. DH has one for him in his car, and a small gym bag with spare shoes and sweats in case he's in work clothing. My car has what I need. If we go a long distance for vacation, we'll put them both in our vehicle so we're all covered. I must preface this by saying I am a man, and family caregiver so I find a lot of resonance with the the soccer mom mind-set. 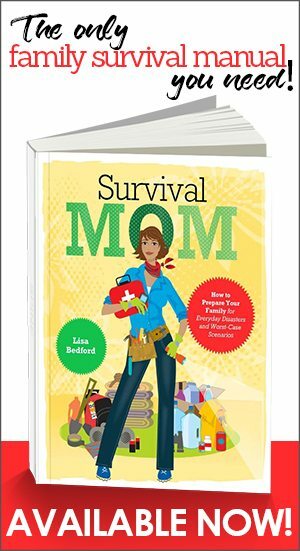 In my family preparedness planning, I have found TheSurvivalMom makes more sense then some of the "manly" sites…Keep up the great work! Hears my 2 cents. 1) Not just tampons, but sanitary napkins. I am a certified first responder (Red Cross) and stock these in most of my first aid kits. 2) As for the bag, I personally disagree. I would rather, and do, have a simple black backpack. It will blend in better, and not scream "I am prepared and you are not!" There is a place for being tactical, you don't want to invite beggars etc. 3) One last thing I include in my vehicle is an old Razor Scooter. It folds up compactly, and is a better alternative than hoofing it if it comes to that! I love this site and others you have suggested. If I store rice in 2 litre bottles, do they need the carbon things..or what gets the oxygen out. How long can I store it that way? What are his political leanings? My guess is middle-of-the-road to liberal or that he’s not all that political. Great site! How about including face masks in case of earthquake dust, fire smoke, or disease? Also, a communication device so he and you can figure out how to meet, like a 2 way radio? I LOVE the idea that you included a Razr! I know this is an old post but recently found your site and putting in my two cents if nothing more then to make me focus on points that are important to me. I am reading as many of your post as humanly possible; so I could be here a good minute. My husband works out side of the country just Canada but he crosses the boarder daily. I have thought a lot about how he would get home if SHTF while he is over there and where he would stay until he could make it home.